In recovering assets that are or that represent the proceeds, objects, or instrumentalities of grand corruption, do states violate the human rights of politically exposed persons, their relatives, or their associates? Radha Ivory asks whether cooperative efforts to confiscate illicit wealth are compatible with rights to property in public international law. She explores the tensions between the goals of controlling high-level, high-value corruption and ensuring equal enjoyment of civil and political rights. Through the jurisprudence of regional human rights tribunals and the literature on confiscation and international cooperation, Ivory shows how asset recovery is a human rights issue and how principles of legality and proportionality have mediated competing interests in analogous matters. 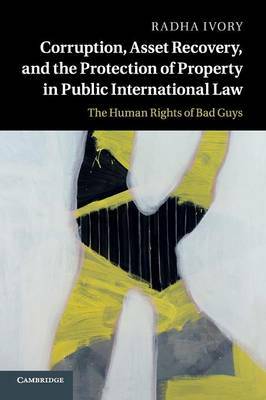 In cases of asset recovery, she predicts that property rights will likewise enable questions of individual entitlement to be considered in the context of collective concerns with good governance, global economic inequality, and the suppression of transnational crime.